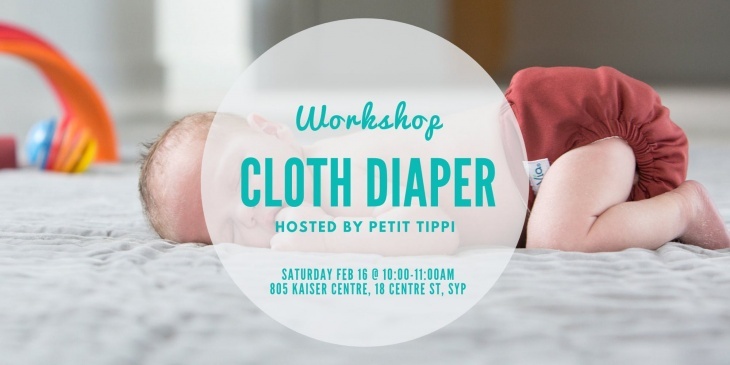 Join us for the February edition of our popular Cloth Diaper Workshophosted by our Founder, Vicki Chuard. We will go over the basics of using a cloth diaper, choosing a system that works well for you and your baby, talk about what you need to begin cloth diapering, and of course answer any burning questions you may have! This workshop is ideal for parents with babies or if you’re close to your due date and want to start right away. Of course, you can bring your little munchkin along! Workshop is for FREE! Limited spots only - if you would like to bring a partner or spouse, please register them separately. Enjoy special offers for same-day purchases in store only!